If you have not signed up on SpArc, login to your account here. 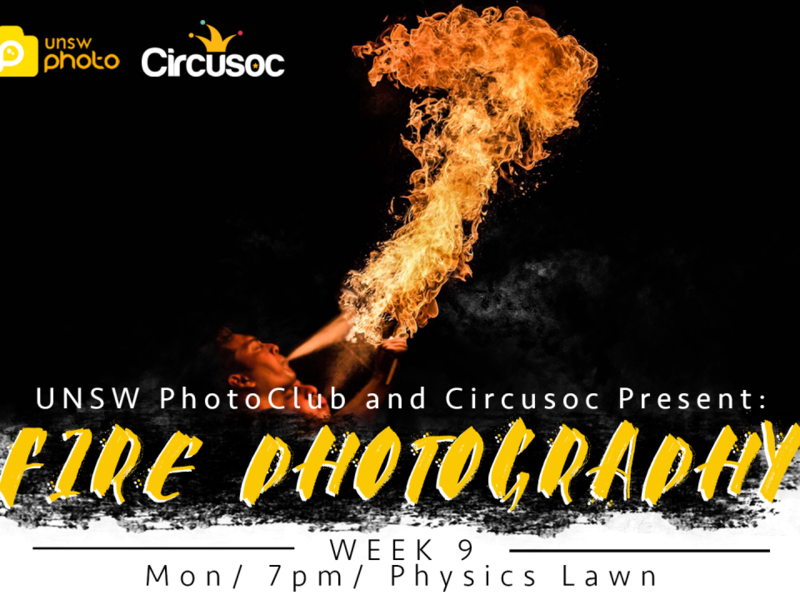 Join us for our last event of the term as we collab with our friends over at Circusoc for a fire photography shooting session! 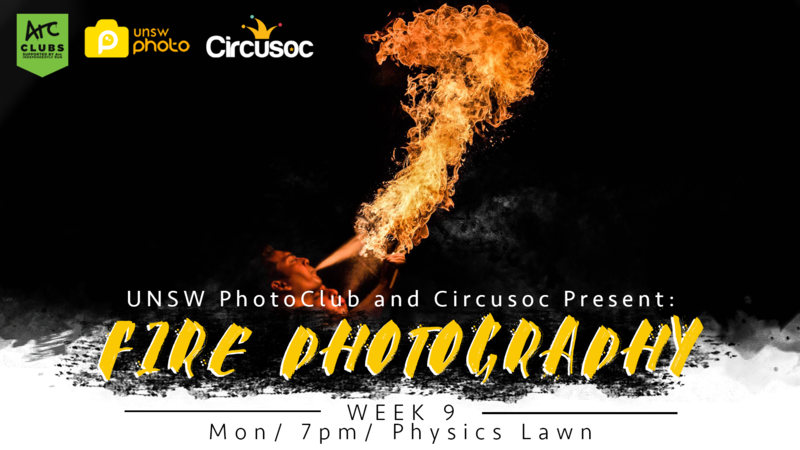 It is rare that you get the opportunity to test your cameras as people play with fire on campus!!! So join as the sun sets and fire is lit! Camera: DSLR, MILC, Compact, Film, Mobile, as long as it takes pictures! *This event is open to 2019 UNSW PhotoClub members only (please bring your membership card). 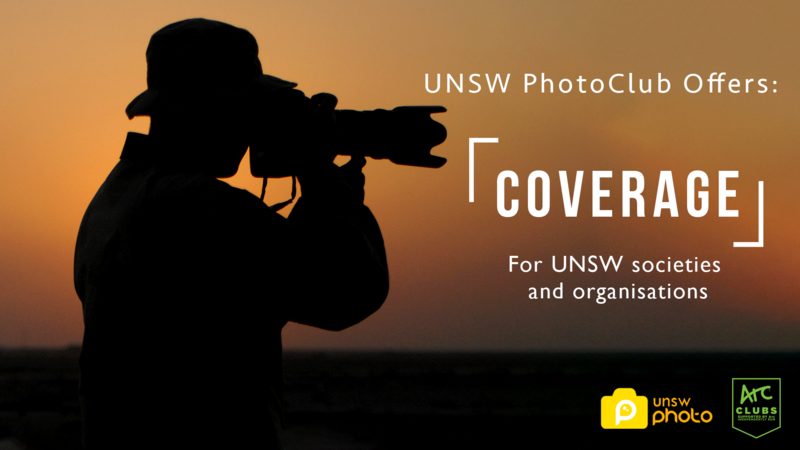 UNSW PhotoClub is aiming to revive one of its older programs, “Coverage”. It aims to provide UNSW societies and organisations with photographers. This service is voluntary, however it has perks. As it’s not a professional job, you won’t be expected to provide hundreds of pictures but rather 5/hr. You will of course be credited online so your account will get shout outs each time the photos are posted (both by the organisation and PhotoClub itself!). It’s a great opportunity to gain experience in event photography without the pressure of being paid and expand your horizon. You’ll get the opportunity to meet new people, network and expand your reach. You’ll be given free access to the event and any other perks that the organisation would like you to have. The first job for this program is out now and you can find details about that and the program, by clicking on this link!